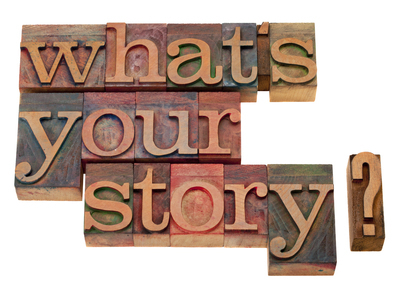 Do you have a story you’d like to share about the importance of prenatal care? Have you been involved in a successful program and want to share your story? Do you belong to an organization in Shelby County that could benefit others to ensure their baby is healthy? We are looking for personal stories for the IMRI blog, and we’d like to feature you as a guest blogger! Send an email to ShelbycountyIMRI@gmail.com and someone from our team will be in contact with you. While Shelby County may have one of the highest infant mortality rates and preterm delivery rates in the nation, behind every statistic is a unique story. At Christ Community Health Services we value each of the stories behind the statistics and desire to provide excellent prenatal care to women as they live bravely as the main character in their lives. This is why we currently use the Life Story Prenatal Curriculum, a group prenatal visit model with a Christian perspective. Through Life Story, pregnant women come together for group prenatal care visits and form a supportive community in this thrilling new chapter of their lives—motherhood. Women like Latasha* and Michelle, who became friends early on in their Life Story group and walked together through the fears related to first time pregnancy. Women like Maya, who looked to her Life Story group as a place for encouragement and belonging as she experienced pregnancy without the help of a partner, or Anna, who was inspired to pursue her nursing degree after acknowledging her hopes in Life Story. Life Story group prenatal visits consist of 8-12 women with similar due dates. There are 10 total visits during the course of the pregnancy, starting in the 2nd trimester. Groups are led by consistent co-facilitators, at least one of whom is a licensed prenatal provider, and a respectful, open environment is cultivated to make sure every one’s voice is heard. Life Story operates from the belief that our individual physical health is affected by the choices we make, which are influenced by what we think about ourselves and how we relate to God. This prenatal model seeks to provide care for women’s physical health as well as mental, emotional and spiritual health. We tend to mental and emotional health as we help women see the unique story of their lives and create a safe space for them to share their story. Personal assessments completed by the women each week specifically address these elements of health and help them evaluate the roles they fill. We introduce pregnant moms to the new story beginning with their expected child and highlight that all of our life stories are a subplot of God’s larger story of love for His children. Through this understanding of God’s love we provide spiritual care as we process the significance of God’s story, His saving work for all, and the threads of His work in each of our stories/lives. As we discuss our life stories, we point out the ability for all people to change their life story—to work towards their hopes through choices and a relationship with God. Each session also includes a story about a character in the Bible with struggles and hopes to which we all relate. The stories are told in a refreshing, simple way that is both entertaining and engaging. The actual medical assessments are conducted one-on-one with each patient behind a privacy screen at the beginning of the session while the other mothers eat snacks, visit, and begin the activities. Health and medical information is shared through games and other participatory activities after the individual assessments are completed. For example, we talk about the physical changes experienced by a mom in pregnancy through an altered version of the game “Pictionary”. The women review the signs and symptoms of preterm labor with interactive models. And interesting visual aids are utilized when discussing healthy eating habits. Life Story also connects new moms with resources and community programs designed for their specific needs. Behind every health statistic in Shelby County is an important story and a valuable life. Through the Life Story Prenatal Care Program, Christ Community Health Services is honoring the stories of the strong, wise, and gifted women throughout the city. We consider it a privilege to journey with them into the new chapter of motherhood and it’s through honoring these individual stories we hope to change the statistics. *All patient names changed to protect privacy. Christ Community Health Services is currently enrolling new mothers for the Life Story Prenatal Care program in multiple locations. Please contact Meredith Pace, Program Coordinator at meredith.pace@christchs.org or (901) 260-8511 if you would like more information. Building Relationships, Having Fun and Getting Fit! Building relationships, having fun and getting fit. Those are the three core principles practiced by Fit Nation Inc., a community based nonprofit 501(c)(3) organization that Toye L. Bogard (Founder and CEO of Fit Nation Inc.) was led by God to start on September 17, 2011, out of a personal desire to help reverse Memphis’ reputation of being one of the fattest cities in the nation. On that day in 2011, Bogard decided to begin his fight against obesity in Memphis by personally making healthier lifestyle changes and organizing his friends and family to participate in ongoing weekend workouts. The response was so great that Bogard had to create 6 teams across Memphis and the surrounding areas in order to service the rapid growth. In addition to creating teams, he incorporated monthly Weigh-Ins at a central location so that the teams could get together, build relationships, and celebrate life! Fit Nation Inc.’s sole purpose for existing is to enhance the lives of the general public by placing building relationships at the forefront. When healthy relationships are developed, it becomes easier to have fun and get fit. Everything that Fit Nation Inc. does as an organization is centered on tackling obesity and helping individuals to “choose life” 365 days out of the year. Fit Nation Inc. provides free membership , gives members access to workout classes via Skype ($ 5.00 per class) and in person ($3.00 per class) and provides a social media driven fitness support system via Facebook. Currently Fit Nation Inc. has active groups located in cities that include: Memphis, TN, West Memphis, AR and Nashville, TN. The Memphis Fit Nation group has (6) organized teams that cover each community within Memphis and the surrounding Metropolitan area. 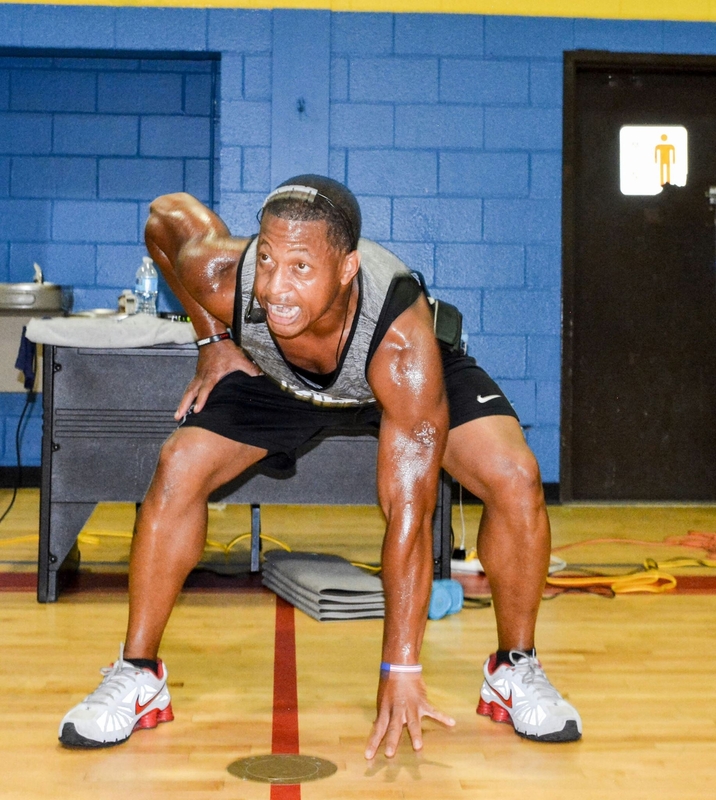 This gives members the convenience of only having to drive a few blocks from home to participate in team workouts. Toye Bogard understands that the high rate of obesity in Memphis and the city’s high infant mortality rate go hand in hand. In February of this year, Fit Nation Inc. received grant funding from the March of Dimes’ Program Services Committee to initiate an infant mortality/obesity reduction program known as “Fit 4 Me”. The goal of Fit 4 Me is to help women who are between the ages of 18-44 and have a Body Mass Index (BMI) that is greater than or equal to 25, to reach a healthy weight prior to becoming pregnant. Fit 4 Me participants receive access to a free weekly 60 minute low impact workout class led by a Certified Fitness Trainer (Fit Nation’s CEO Toye Bogard), bimonthly weigh-ins to assess weight, blood pressure, blood glucose, BMI and waist circumference, bimonthly preconceptional /interconceptional health education sessions and ongoing mentoring/coaching surrounding nutrition and physical activity. Dec. 9, 2015, Washington, DC – Today, the Association of Maternal & Child Health Programs (AMCHP) applauds the extraordinary news reported by the Centers for Disease Control and Prevention (CDC), that the nation’s infant mortality rate decreased 2.3 percent last year to a historic low of 5.8 infant deaths per 1,000 live births. Infant mortality rates are one of the sentinel measures that gauge how well a society is doing to ensure the health of women, children and families. “The recent decline in infant mortality is a public health success story deserving national recognition and celebration. We are helping more babies reach their first birthday than ever before and this is great news. One foundation for this progress can be traced back to the creation of Title V Maternal and Child Health Services Program as part of the Social Security Act in 1935. This represented the first major federal commitment to partner with states and communities to protect and improve the health of women, children and families. Today, this program in collaboration with others including Medicaid; Community Health Centers; WIC; Title X Family Planning; Healthy Start; Children’s Health Insurance Program; Maternal, Infant and Early Childhood Home Visiting Program; the Affordable Care Act and critical efforts of the CDC and the National Institutes of Health are collectively improving the lives of babies. Since 1935, the infant mortality rate has dropped a stunning 90 percent, which is evidence that these public investments are making a huge difference. Moving forward, we need to seize the opportunities to better understand the factors driving this recent success and find ways to accelerate progress. We also need to heighten our focus on reducing disparities because having an infant mortality rate that is twice as high for African American babies than for Caucasians is simply unacceptable. We must continue to educate policymakers on the returns generated by previous investments – as evidenced by the progress reported today – and share information about how difficult it is to plan and sustain public programs when budget levels that were supposed to be set by October 1 are still unresolved into December. We must continue to promote the evidence showing that low-tech preventive solutions such as breastfeeding, family planning, immunization, smoking cessation and safe sleep are effective in reducing infant mortality and help avoid spending on high tech treatments like Neonatal Intensive Care Units (NICUs). Funding levels for these key public health programs have never matched actual need, have slowly eroded over time, and are suffering further threats under budget caps. Perhaps the most important message is that the best opportunity to improve the health of all babies and communities is to focus on improving the health of women before they become pregnant. With these efforts we can work toward a day when all babies in America are born able to achieve their full potential. AMCHP is the national membership association of state maternal and child health leaders. As an advocate, resource and partner, AMCHP supports state MCH programs and provides national leadership on issues affecting women, children and families. We envision a society where healthy children and health families live in healthy communities. For more information, visit www.amchp.org or connect with AMCHP on Facebook or Twitter. On Saturday, December 12, 2015, Tennessee State Rep. G.A. 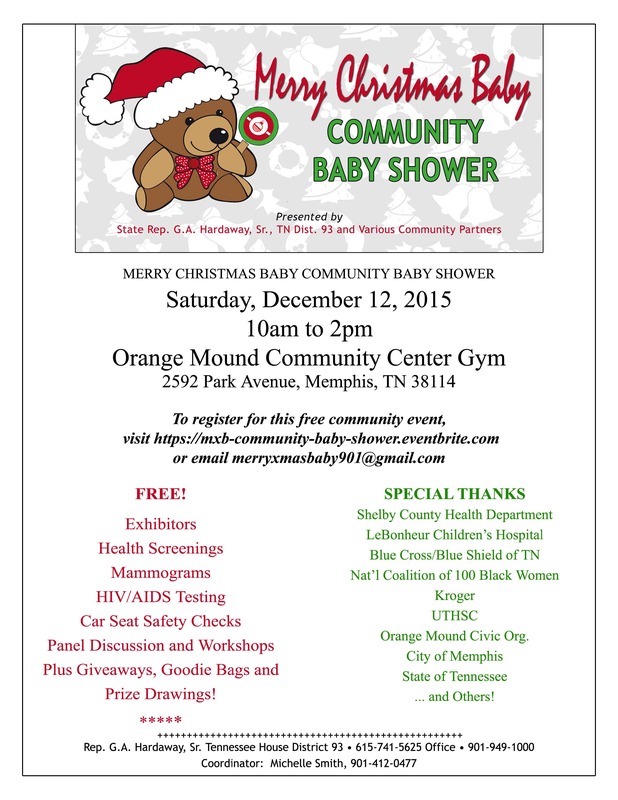 Hardaway Sr. will host the Merry Christmas Baby Community Baby Show from 10am to 2pm at Orange Mound Community Center. Part of the fight against infant mortality, this event celebrates our youngest citizens. We expect 150-200 expectant and new mothers and fathers to come out. The registration site for parents and parents-to-be is https://mxb-community-baby-shower.eventbrite.com. The email address for registration is merryxmasbaby901@gmail.com. 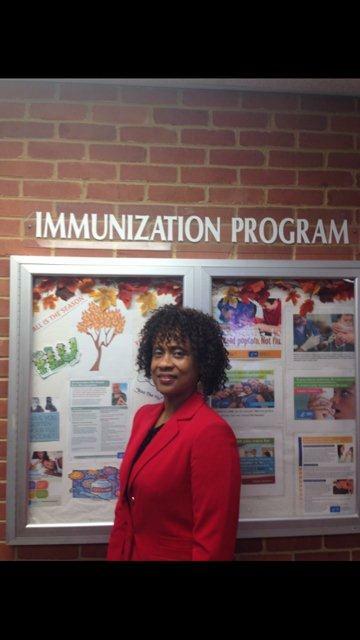 Saturday, December 12, 2015 – 10:00 a.m.-2:00 p.m.
People have numerous questions concerning the flu and the need to be vaccinated. The CDC (Center for Disease Control) recommends that everyone 6 months of age and older receive a flu vaccine every year, including pregnant women. According to CDC guidelines, it is recommended that pregnant women get a flu shot during any trimester of their pregnancy to protect themselves and their unborn child. Contrary to popular belief, you cannot get the flu from the flu vaccine. Below are some important questions and answers about the flu. The “flu” is a short name for influenza. It is an infection of the nose, throat, and lungs. The infection is caused by a virus. In the United States “flu season” can begin as early as October and last as long as May. It is highly recommended that you get vaccinated against the flu by October, if not as soon as possible. The flu is contagious. It spreads mainly when people sneeze or cough and droplets land in the mouth of people close by. Also you can get the flu if an object such as toys, doorknobs or used tissue has the virus on it and the person touches their eyes, nose or mouth after touching these objects. A person can spread the flu to others 1 day before he or she is sick and as long as 5 to 7 days after becoming ill. Children and people who are very sick can spread the flu longer than 7 days after getting sick. The flu can be mild to serious. It can even lead to death. Anyone can become very sick from the flu but it is most dangerous for babies, young children, pregnant women and people 65 years and older. Also the flu can be serious for those with long term health problems such as asthma, diabetes, cancer and heart disease. Flu symptoms can be different depending on age. What can I do to protect myself and others from the flu? The flu vaccine is the best protection against the flu. It protects not only you, but others from getting the flu. Cough or sneeze into the sleeve of your shirt or a tissue. Throw the used tissue away. If you have the flu, stay at home for at least 24 hours after your fever is gone, without the use of fever medicine such as Tylenol. Leave your home only for emergencies and to get medical care.